10 Ten Guinness new bar towels. A must have for any collection. SOLD AS SECONDS. Also cleaning bows for archery, a nice quiet sport for a change, he he! You can buy a towel for this from Musto for £30 or you can have one of these and not worry too much if it goes over the side!". Ordering Information • 100% Cotton. 100% cotton bar towel with clip to hang it on your golf bag. You may also be interested in. UK: 2nd class free. JACK DANIELS. DUAL SIDED TABLE TOP CHALK BOARD. OLD NO 7 / TENNESSEE HONEY. OLD NO 7 & TENNESSEE HONEY. 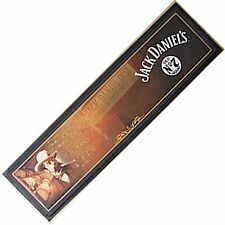 JACK DANIEL'S JACQUARD BAR TOWEL. 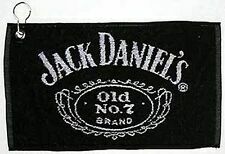 HIGH QUALITY 100% COTTON JACQUARD WOVEN BAR TOWEL WITH JACK DANIEL'S LOGO. It has 'Raise a Jack to Mr Jack written on it'. FOR SALE @ £3.50 Inc. FREE P P ( RM 2nd Class Proof). JACK DANIELS. TABLE TOP CHALK BOARD. TENNESSEE FIRE. JACK DANIEL'S BAR BUG LOGO RUNNER. 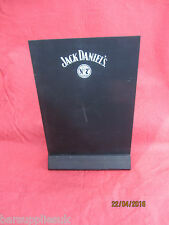 Jack Daniel's logo rubber back bar runner.